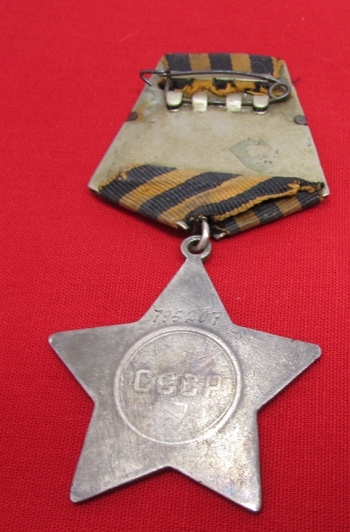 Item #44986 : Original era manufacture. 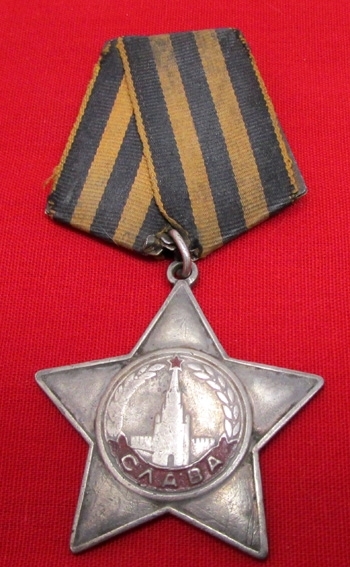 Silver medal with it's original ribbon and brass backing plate, serial numbered on the reverse 735207.Awarded to Private Fedor Arkhipovich Kuznetsov1140th Rifle Regiment, 340th Rifle Division in 1967, for wounds received on 3/25/45. 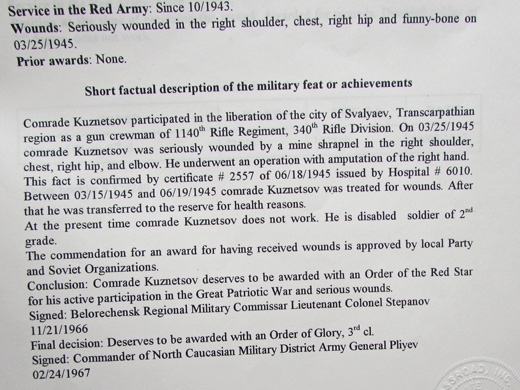 In this action, Private Kuznetsov was wounded in the right shoulder, chest, right hip, resulting in the amputation of his right hand. 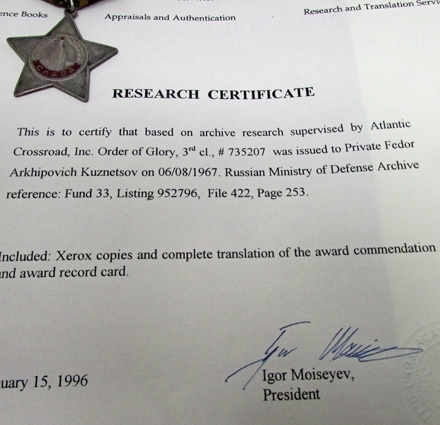 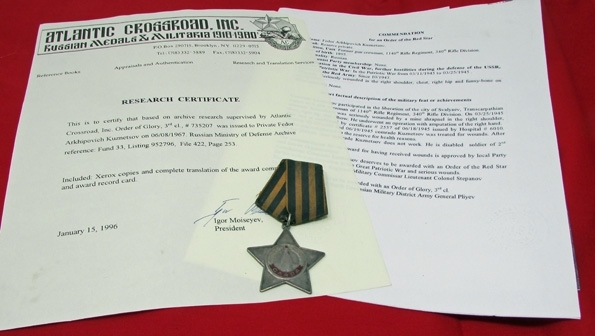 He was declared a disabled soldier 2nd grade, who was not able to work.Research provided by Atlantic Crossroads in 1996, the medal and research have been in our collection since that time.